Pineapple pachadi is an exotic dish which has a sweet and tangy taste. It is also known as pine apple raita or pine apple in yogurt chutney. 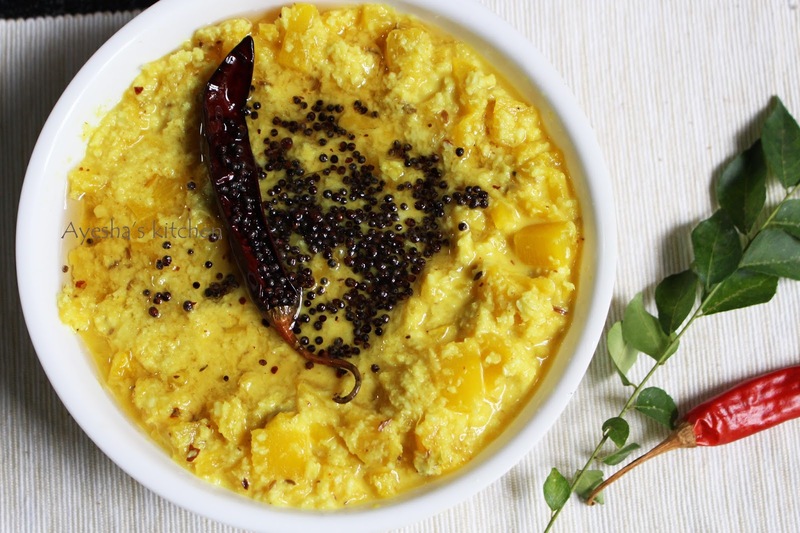 As we all know that pachadi is an unavoidable dish in kerala sadhya ( in the southern part of India), pineapple pachadi always had the special place in traditional sadhya. Lady's finger pachadi, carrot pachadi, beetroot pachadi, tomato pachadi are some other commonly used pachadi in onam sadhya. It is best when served along with meals. Pine apple pachadi is made in every home during feast and it is the comfort food that brings back many happy memories for me. Do try this recipe and am sure you will love this. Heat one cup of water in a non-stick wok and add finely chopped pine apple along with chili powder, turmeric powder and salt. Cook with the lid closed until the pineapple is well cooked and becomes soft. You can add more water if pineapple tends to stick to the pan. 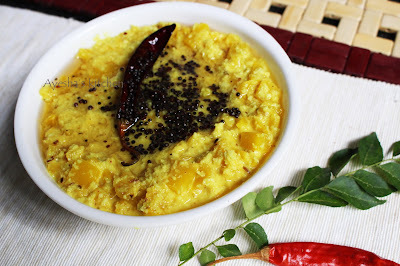 Mean while, grind together grated coconut, cumin seed and green chilies to a smooth paste. When pine apple is done, add the coconut mixture and mix well. Let it cook for few minutes on a medium flame. Now add the yogurt mixture and mix well. Let it cook for a minute and off the flame. Now heat a pan with oil and splutter mustard seeds, saute red chili and curry leaves. Pour it over the prepared pachadi. Pineapple pachadi is ready to serve.